On a grey and rainy bank holiday in the UK I thought I'd show you a bit of colour and vintage style from some recent car boot sale finds. This is little pot is the perfect size for a bit of jam for scones and tea- don't do that very often but next time it happen, this is coming out. I don't know if I like the box more or the picture dominos inside, such great blocks of sunny colour. This is half a standard tile size and made in Japan. It rests near the radio on the kitchen table because I like to look at it so much. I love the shapes and the overlap of the lines. I found a big length and extra bits of this vintage fabric. How have I lived without a clock print! Don't know what I am going to use this but the green turquoise teal mixed with the golden yellow is so appealing! Do you want to know something odd? 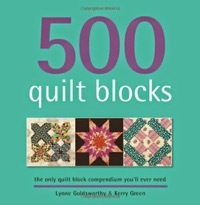 The giveaway winner Woolynn- (Lynn) also won last years Sew Mama Sew giveaway- how odd is that! What an education it was reading your giveaway comments. Little did I know about book darts, flower frogs, Lalaloopsy dolls, Vibram fivefinger running shoes and a whole load of other things! I enjoyed reading these so much that I think I will have to make 'My Secret Obsession' a regular feature and put a linky tool in so we can all share them! I'll work on a button and set a date. Thankyou all for sharing. Random number generator picked number 49- WooLynn- I have sent you an email! She mentioned in the previous comment that she was obsessed by making things in stained glass, hence the related cards on her parcel! Both fabrics will be on the way to you soon! Very large FQ of Michael Miller's mending Madness and a FQ of Lakehouse Dry Goods texty garden print. Nice! So what do you have to do to win these lovelies? Read on. and this tea towel from etsy, 1970 is my year of birth. I do have plans for the fabric and the tea towel, they were all bargains and hopefully this print is out of my system. this song and others had tears running down my face last Saturday making tea even though I have heard it so many times before. 3...And this advert, the music, the roller boots, the clothes, the stretchy, breath taking moves. Leave a comment sharing your latest obsession with me however weird and wonderful! Please don't just put quilting or sewing, I take that as a given, but it could be your favourite fabric line. If you follow, thankyou! Have an extra entry. Make sure I can get in touch with you- if you are a no reply blogger and I cannot find your email you will not be able to win! I won't be replying to comments as I know I will not be able to keep up but if you have a question or want to email me, click on the link under 'About me' on right. Want to be inspired? 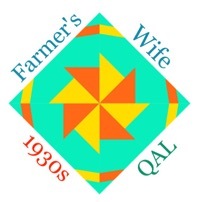 Take a visit to the Spring Bloggers Quilt Festival 2011 over at Amy's Creative side. Everytime I find something that I haven't seen before. If this is your first time here, I should say hi and welcome. I am Kerry and I share my vintage and sewing life here. 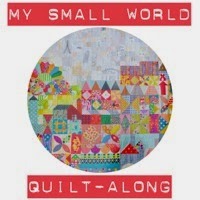 Small scrappy projects are what I enjoy the most so it is no surprise that my entry is a mini- I haven't made a big quilt in a while but a whole load of work goes into my little quilts. I made the for the Doll Quilt 10 Swap on Flickr. It was for Terrie Sandelin her work is normally teeny tiny, intricate and ordered with a traditional feel.. Her tastes are pretty flexible and she had a lot of circles on her inspiration mosaic so that was my starting point. I love piecing curves and circles and I have wanted to try a radiating pattern for a while. I used Flickr to find pictures of spirals and circles- dandelion heads, broken glass etc- they all helped with building the idea. Then a song crept in, it all fitted together- search through for the lyric! I used an Ez Dresden cutter to help with the pattern pieces and a mix of ticker tape pieces onto neutral wedges and pieced strips. The stamping is with Versacraft ink, perfect for fabric and heat sets with an iron. I then added some hand quilting with chunky perle cottons and appliqued the centre circle in. It was one of those quilts where you just keep working it until you feel it is done. All those yellows and turquoises make me so happy and I still feel really happy looking at it! May is Ayumi's month in The Ringo Pie bee and she made a great inspiration mosaic- click here to see, the coloured pencils caught my eye straightaway and the germ of an idea started to grow. And then Ayumi made this block, which is simply stunning! All those colour colur envelopes and prints and some very cute fabric choices. Just wonderful! So I had to wait a while to recover from having seen this before I started mine! I wanted to do a colour wheel with coloured pencils but I didn't want rainbow order, I fancied a scrappy mix of vintage and new fabrics and more random colours to complement Ayumi's block. I had to work out the logistics of the pencils first. Each tip is foundation pieced on to stabiliser- I prefer this to paper. Foundation piecing is very accurate for little fiddly things like this when the right shape is vital. Here they all are in their wheel doodling and writing Ayumi's name. She choose a great theme- I had other ideas about letter paper sets and stamps and could've made a whole quilt of blocks. Each month in Ringo Pie is an education- sometimes the pleasure and pain of each block are a little close together and it was definitely a pain piecing that inner circle as it is on the small side, but the themes have had so much potential and seeing the designs that the other bee members come up with has been amazing and constantly pushes us all creatively, it is always exciting! Sent to Kaelin, as part of Pretty Little Pouch swap: Clutch pouch with magnetic snap. Kaelin (The Plaid Scottie) had a lot of little purses in her swap mosaic so that gave me the shape idea. I went through her galleries and profile in the usual secret stalking way for favourite colours and patterns plus she had dropped some hints about green, houndstooth and bows in her swap info- all very helpful! I stuffed the bag full of goodies: houndstooth scarves for Madmen moments, fabric, chocolate, tape measure. She did a funny blog entry with a great little pic of the bag living in Beauty's castle along with Cogsworth and Lumiere- check it out here. I madea scrappy piece of fabric for the pouch pieced using the idea in this tutorial by Lady Harvatine. Added the stitches and then cut out the bag shapes. This was a little sketch book and cover for Anne of Film and Thread. She so kindly sent me a big box of stamps that she no longer used and I wanted to give her soemthing back.. She is a talented sketch and she likes to be out on the move so I wanted something small and portable. Simple little shape with a couple of little vintage spool blocks. I thought the turquoise/yellow ripple looked like the sort of marbled lining paper that you used to find in hand made books. It is happily with its owner. Wow, I am so lucky! This was one of the first pouch to have a photo posted in the Pretty Little Pouch Swap on Flickr and I admired it straightaway. Great colours, hand stitches, beautiful fabrics, attention to little details- did you notice the little owl zip pull? And lovely fabrics and handmade goodness inside. Lining: behind the grey and orange pocket is a lovely yellow grid check. Close up: I love that dotty tag and those citrus cross stitches, and the shot grey fabric is tactile and practical. It is a biggie as well, big enough to store my Ipod, phone and mini change purse on a day out! I love it Krista, thankyou so much! And sneaking into the same postage pile was this little beauty from Ali of A Squared. These are my favourite prints from the new Denyse Schmidt range so it couldn't be a better fabric choice and this nifty little pouch can carry my essentials- lip balm, swiss army card of tools, aspirin and forehead stick! I had some funny responses to my last post, tales of you wondering around in public covered in pins and threads. The sacrifices we make for our art! I free pieced it so no freezer paper for this one. I blew up the image on the scanner and measured the width of the different sections and cut and pieced and trimmed. It took me a little while to work out the wheels and then when I did it was so easy. See how it works below. So easy that I got the direction of the lines wrong and forgot to put the blue road on the bottom half of the wheels and had to unpick and redo them twice. It looks slightly like an ice cream van to me but the yellow is a reminder that it is a school bus. Now I am off to school, though not in a bus. Have a good week! I have been using the double holiday weekends we've been having in the UK to sew, sew sew. Sometimes I think I've gone feral. I am surrounded by scissors, cutters and rulers and the floor, my clothes and all available surfaces are covered in threads. I eat at irregular times- although I always eat, I never skip a meal and my clothing choice is questionable. I have been known to nip out to the post office only to find threads and fabric clippings hanging off my backside as I am walking along. One of the things I have been working on is a couple of Bee blocks for Christine in Bee (A Little Bit) Japanese. The theme is a transport/star quilt for a little boy called Zac. This is a cheater star from The Sometimes Crafter, a nice quick way of building a star. Christine said that she would welcome some Zs so I added an applique road style Z. It was my husband who prompted me to listen to Cath Kidston on BBC Radio 4 Desert Island discs and I am so glad that I did. I have always been a sucker for her vintage shabby chic but these days I see it all day long. I live in a student area in a University city, there are so many female students with Cath Kidston bags. At work I see children dressed in Cath Kidston and Cath kidston nappy bags everywhere so it can become a little over familiar. But I can't deny that every time the catalogue comes through the door I flick through and think she has nailed it, always something new, the vintage continues to inspire and every now and then I'll be tempted to buy a little something. Listening to her interview I was impressed by her resourcefulness and resilience. Yes, she has come from a moneyed and comfortable background but there were hardships. It caught me out, she is a quiet, thoughtful, and honest interviewee with sensible ideas on business and life. I was impressed by her integrity. I don't know if the link will work outside of the UK, but if you can, have a listen, you may be surprised.